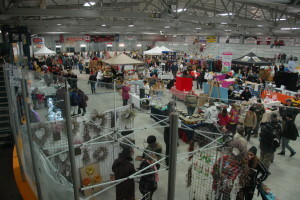 Vendor applications are available mid November and will be accepted after December 1st each year. If paying by Credit Card/Paypal, you can email your application to vendors@emsf.ca. If paying by cheque, please mail your application to address listed on the application. Only paid in full applications will be considered accepted. Please note that Post Dated Cheques are NOT accepted and if received will act as the date we received your application, therefore not guaranteeing you a Vendor Spot. Please note that space is limited. 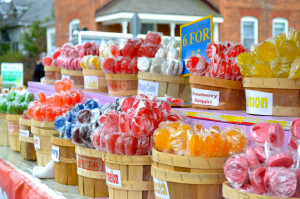 Returning vendor’s prior year spot will be held until February 15th. If your application has not been received with payment by then, the remaining vacant locations will be assigned on a “first come” “first serve” basis. 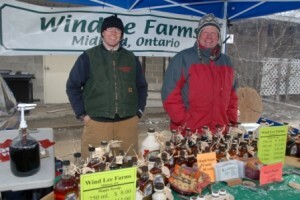 Thank you for considering the Elmvale Maple Syrup Festival. Looking forward to seeing you there.